I thought this one would be most appropriate, as my seniors have just finished the unit on limits. 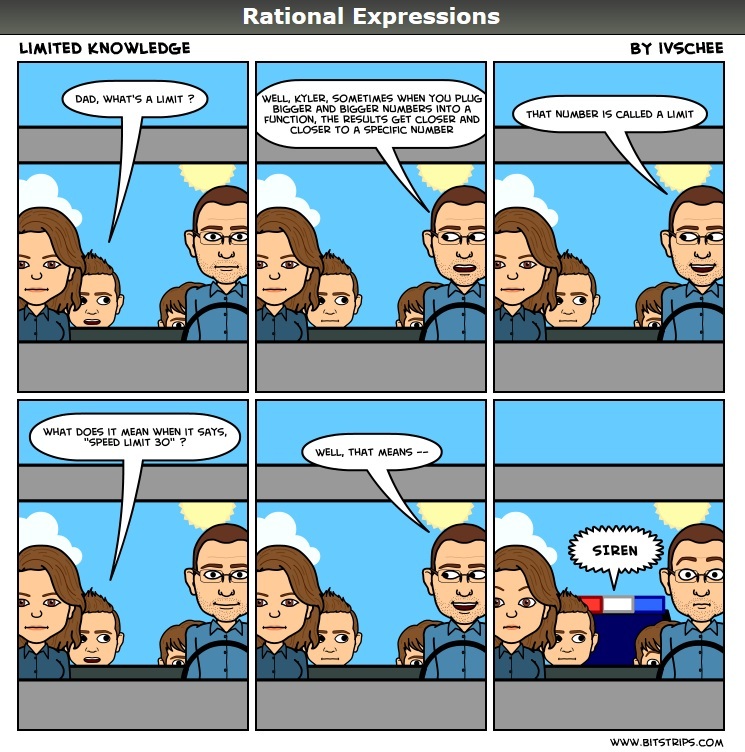 Posted on September 10, 2012, in Rational Expressions - A Comic Strip. Bookmark the permalink. Leave a comment.